The inclusion of puppets and toys alongside books encourages imaginative play and boosts confidence in speaking and listening. This Well Known Stories Collection 2-3yrs contains carefully matched board books and soft toys to deepen involvement in the stories children hear: joining in with noises, rhymes and phrases, experimenting with new vocabulary and developing an understanding of story structure. 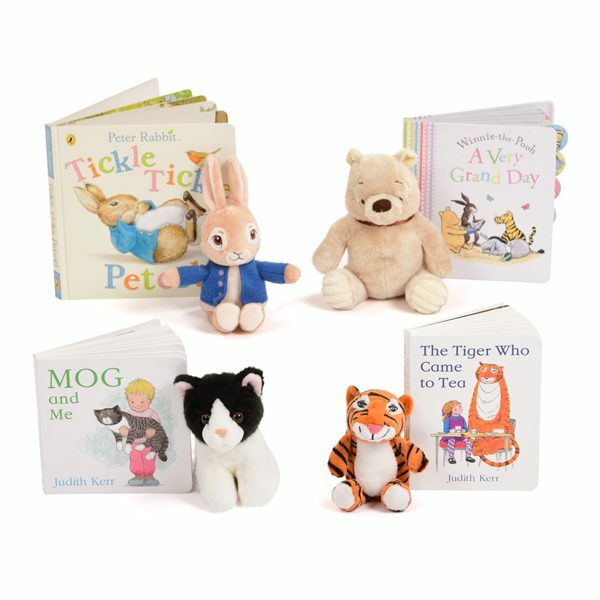 Young children will be delighted with these well-loved characters including Peter Rabbit, Winnie the Pooh, Mog & Me and The Tiger Who Came to Tea as they enjoy stories packed with warmth, intrigue and humour. Winnie-the-Pooh: A Very Grand Day Book & Character Set _ this board book includes simple text and Andrew Grey’s charming illustrations as Pooh and his friends get ready for a day of fun in the Hundred Acre Wood. This search-and-find game also makes for a fun and interactive bedtime read. Suitable from birth, this Winnie the Pooh soft toy is made from the highest quality, textured plush fabric with beautifully embroidered features. Soft toy measures 12cm x 14cm x 19cm. Peter Rabbit: Tickle Tickle Peter Book & Character Set _ this touch and feel board book includes soft fury fabric and gentle rhyming which compliments the pastel colours of the illustrations and the contemporary style of the design. Children will want to stroke and tickle every animal inside! Suitable from birth, this Peter Rabbit plush soft toy wears his signature blue jacket and measures 12cm x 13.5cm x 19.5cm. Mog & Me Book & Character Set _ with a new cover design, this board book follows the story of everyone’s favourite family cat, Mog by Judith Kerr. The story follows Mog and a little boy through their busy day and includes lots of games and fun. 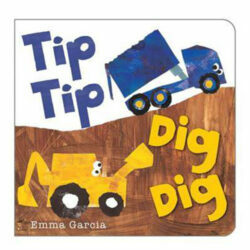 Children will delight in spotting familiar objects and activities in this title as they enjoy this story at any time of the day. Suitable from 12 months, this black and white cat is made from high quality soft plush and measures 15cm in height. The Tiger Who Came to Tea Book & Character Set _ this 50th anniversary classic board book tells the story of Sophie and her extraordinary teatime guest by Judith Kerr. Children will be delighted with this fascinating story which is perfect for reading aloud or for small children to read again and again. Suitable for all ages, this soft toy measures 12cm x 10cm x 9cm and is the perfect bedtime companion and character to read with the classic story book. 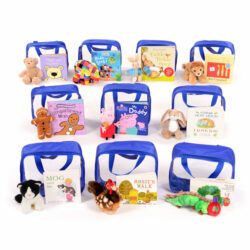 Extend your book and puppet collection with our Favourite Stories Collection 2-3yrs.